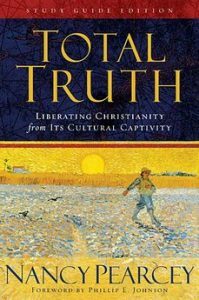 In her book, Total Truth, author and apologist Nancy Pearcy writes about a cultural phenomenon where evangelical Christianity has be relegated to an isolated corner of society and pushed out of the mainstream of our culture. Christianity has been pigeon-holed into this thing we do on Sunday mornings, separate from the real world. She calls this the public/private split. 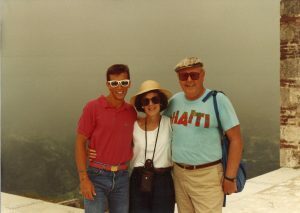 It was over Thanksgiving break during my sophomore year of college (1987) that Walt Baker asked me (Larry) to consider going to Haiti with him and others the following summer. The faithful provision of the Lord Jesus through the generous giving from His church encouraged me to go, serve, and trust Him. In the early church (Acts 4:32-35), we see the contrasting motives of Barnabas’ giving (Acts 4:36-37) and Ananias’ deception (Acts 5:1-10). Barnabas’ gift was given with a heart of sacrifice; Ananias was prompted by a desire for recognition. When we sacrificially give to the Lord Jesus and serve Him with our lives, He is glorified, the church is unified, and our lives are edified. Would God ask us to give something that we don’t have to give? Would God ask us to do something we are not able to do? In the book of Exodus, God asked His people to build a tabernacle, “make a sanctuary for Me so that I may dwell among them.” (Exodus 25:8) In the story of the funding, construction, furnishing, and operation of the tabernacle (Exodus 35), we find principles for the work of God provided by the people of God for the glory of God. God is personally involved in the process of moving His people in order to accomplish His purposes here on Earth. What is a steward? Someone who takes care of someone else’s stuff – like a babysitter taking care of someone else’s child or children. A faithful steward is responsible, knowing they will one day be held accountable. 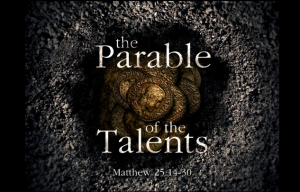 In his Parable of the Talents (Matthew 25:14-30), JESUS shares a story to illustrate that owners (like parents) have rights and stewards (like babysitters) have responsibilities. So our responsibility is to be faithful in managing all that JESUS has given us according to his desires and purposes knowing that he is coming back soon so we can share his joy. When it comes to living for God and giving to His work on earth, we are committed to honoring the Lord with our time and our treasures for His eternal kingdom, but we’ll never have the resolve to follow through with our good intentions without the right motivation. In order to live a life of giving, we need to answer the question, “Why?” Why should we give to others and to the Lord’s work through the church? In 2 Corinthians 8-9, the apostle Paul wrote to the church in Corinth to facilitate a financial gift for suffering believers in Jerusalem. They were eager to give and had the desire to give, but they didn’t have the right motivation to actually give. So, Paul appeals to their hearts (and ours) by presenting 5 motives for generous giving to the Lord and others. 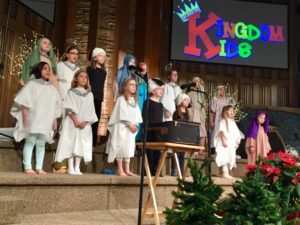 Psalm 150 is the Hallelujah Chorus of the Old Testament, an orchestra of praise where every instrument imaginable is poised and lifted up in worship, celebrating God’s incomparable greatness. 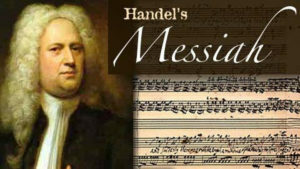 In fact, the last 5 Psalms (146-150) all start with the emphatic encouragement to praise the Lord. Hallelujah! Praising God for who He is and for what He has done is the eternal purpose of our lives. The circumstances of how Jesus came to Earth as a baby in Bethlehem (Luke 2) help us as we wait patiently for His return as King (Revelation 19). God often uses the insignificant actions of others, like Caesar Augustus, to bring about His purposes (Luke 2:1-3). He often uses the inconvenient circumstances of our lives, like Joseph and Mary traveling to Bethlehem, to align us with His plans (Luke 2:4-6). And He even uses the selfish intentions of others and social injustices of this world, like the crucifixion of Jesus, to prepare the way for His Kingdom (Luke 2:7; 18:31-33;19:36-38). How we respond to the actions of others, the circumstances of life, and the issues of our day require trust in God’s character, plans, and power. Anticipation! Anticipation is the wonder of Christmas. We wait expectantly for the presents under the tree. As we grow older, we wait in anticipation for the presence of loved ones around the tree. Anticipation means there is more to come. Christmas anticipates something wonderful: the indescribable gift of JESUS. God’s gift of His Son is greater than any present we’ll find under or around a tree. 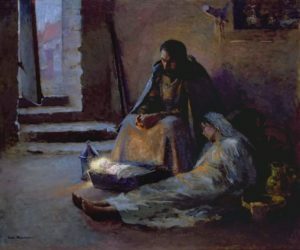 In the Gospel of Luke 1:39-56, we find Elizabeth and Mary – two ordinary women who anticipate the extra-ordinary gift of God. We discover two godly examples of how we should worship God with magnificent anticipation. Joy to the World, the Lord is come, Let Earth receive her King. 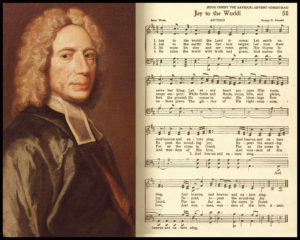 When “Joy to the World” first appeared in Isaac Watt’s hymnal of 1719, it was originally titled, “The Messiah’s Coming and Kingdom.” Watt’s intent for the hymn was celebrating the promise of Christ’s second coming as King to Jerusalem more than His first coming as an infant to Bethlehem. Celebrate the Promise of the King as we examine the Announcement of His coming to Mary in the Gospel of Luke 1:26-38. Let every heart prepare Him room… Mary’s heart is a model for ours. Her response to Gabriel’s announcement is an example for ours. What does it look like to follow Jesus? What’s expected? What’s the cost? How do we do it? 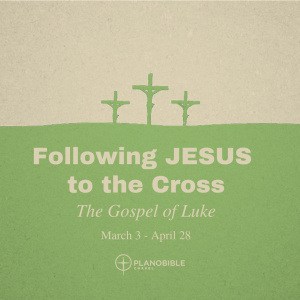 From March 3-April 28, we’ll examine specific passages, instructions from JESUS in the Gospel of Luke to see what it looks like to follow Him, how to trust Him, and how to rely on the Holy Spirit along the way.